I was asked to select a series of my own works, to show alongside an Epstein Sculpture in a gallery I first showed in in 1989. The aim of the show was to examine contexts and histories and the way in which current political issues of post-colonialsm, conflict and the environment could be revisited through juxtaposing these works. 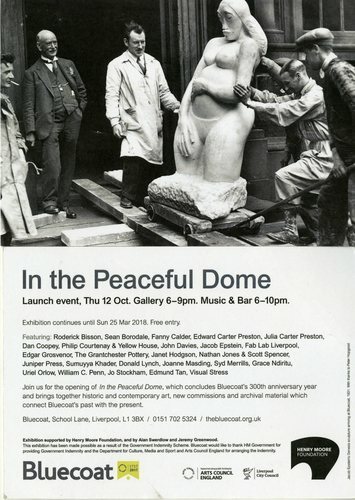 Two sculptures were remade and 18 prints and 2 other sculptures were grouped together to reflect on themes in my work shared with artists across the exhibition all who had also previously shown work at the Bluecoat or had a relationship to early histories of Liverpool.